Pukka to Launch New Performance Fabric January 2019. 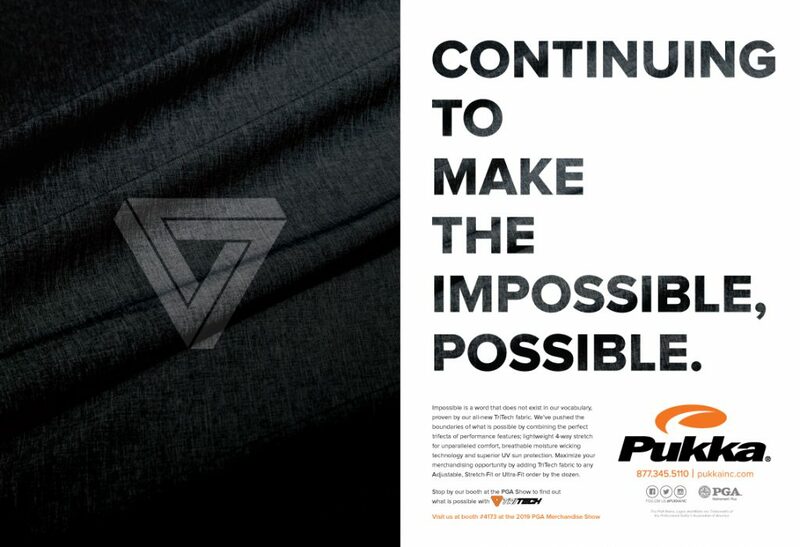 Impossible is a word that does not exist in our vocabulary, proven by our all-new performance fabric, TriTech. Pukka has pushed the boundaries of what is possible by combining the perfect trifecta of performance features; lightweight 4-way stretch for unparalleled comfort, breathable moisture wicking technology and superior UV sun protection. The name and the icon both allude to the three main properties found in TriTech, a revolutionary performance fabric that can maximize your merchandising opportunities. Add TriTech fabric to any Adjustable, Stretch-Fit or Ultra-Fit hat order by the dozen. Visit us at booth #4173 at the 2019 PGA Merchandise Show to find out what is possible with TriTech. If you would like to schedule a one-on-one design appointment during the show please click here.